The silver background plastic cards are full colour printed on 0.30mm Hologram PVC cards with rounded corners. Hologram plate could show different shining colours when looking from different angles. Yes, it is shinning and eye-catching! 2. 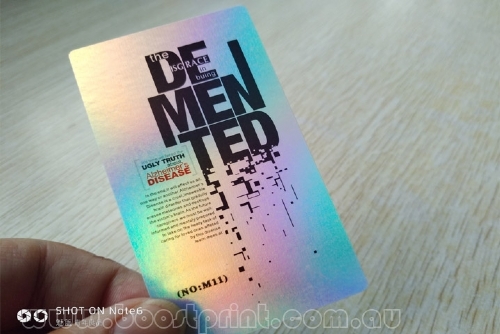 Can Hologram Background Plastic Business Cards be written on?